We had a little rain last night so I figured I’d spend my morning looking for ways to bring Doppler radar imagery into ArcMap. There are of course a ton of ways (and at 9.2 you’ll have even more), but one simple ArcScript caught my eye. 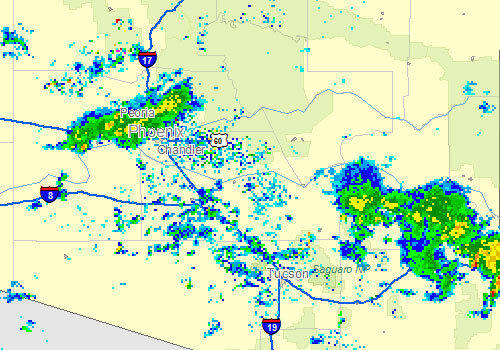 NOAA/NWS WEATHER FOR ArcGIS 9.X gives ArcMap users access some some nice NOAA/NWS radar imagery. Simplicity I think is what caught my eye (Of course I’d rather just add a WMS service, but that will have to wait) and sometimes that is the best way to be productive.